Republicans dominate the Texas House. So why is a Democrat running for speaker? Running for speaker in a chamber that's nearly two-thirds Republican seems like a long shot for Rep. Eric Johnson, D-Dallas. But there might be things he could gain other than the gavel. 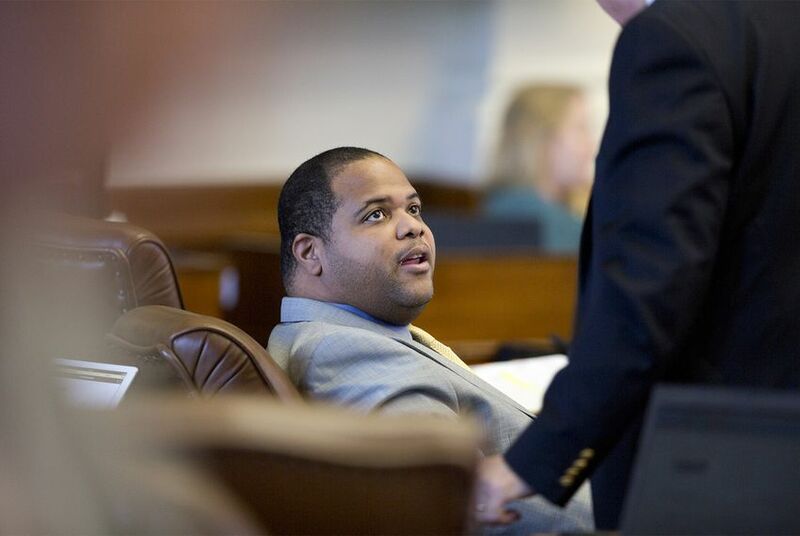 Hey, Texplainer: Eric Johnson, a Democrat, is running for speaker of the Texas House. Why would a member of the minority party do that? State Rep. Eric Johnson, D-Dallas, sounded confident when he announced he was running for speaker. “I'm in it, and I'm in it to win it," he told The Texas Tribune. But he is certainly a long shot. There are only 55 Democrats in the House, compared to 95 Republicans. Unlike the U.S. House, where the speaker is usually determined solely by the party in power, lawmakers in the Texas House are often more open to crossing party lines to elect a consensus choice for speaker. But that usually means a member of the minority party voting for someone in the majority. And Republicans are already working to keep Democrats out of the decision-making process. Ahead of the next regular session, House Republicans agreed to select a speaker among themselves and then vote as a bloc on the floor. But running for speaker while a member of the minority party can have its benefits. An unsuccessful run could still promote party unity or help a candidate secure a plum committee assignment. Harold Cook, a Democratic political strategist based in Austin, said members of the minority party run if they think their party will be in the majority by the time the Legislature convenes, to give members of their party a candidate to rally behind or to prevent their party’s members from supporting someone in the majority. That’s what happened in 2009, the year current Speaker Joe Straus won the job. At the time, Republicans had a razor-thin 76-74 advantage. Democrats rallied behind Straus and helped him win the race. But experts agree: When it comes to speaker’s races, most are decided before the session convenes. Johnson isn’t the first member of the minority party to launch a bid for House speaker. State Rep. Senfronia Thompson, D-Houston, declared her candidacy ahead of the 2007 and 2009 sessions against incumbent Republican House Speaker Tom Craddick of Midland. Former state Rep. Sylvester Turner, now Houston’s mayor, also filed to run for the 2009 legislative session. Neither Thompson nor Turner were nominated when it came time to vote for a House speaker — meaning they either decided to back someone else or realized they didn’t have the votes needed to win. Thompson said she was aiming to use her leverage for better committee assignments for both herself and fellow Democrats. Under Straus, she has served as chairwoman of the House Local and Consent Calendars Committee. The bottom line: Experts say members of the minority party run if they think their party will be in the majority by the time the Legislature convenes, to give members of their party a candidate to rally behind or to prevent their party’s members from supporting someone in the majority.